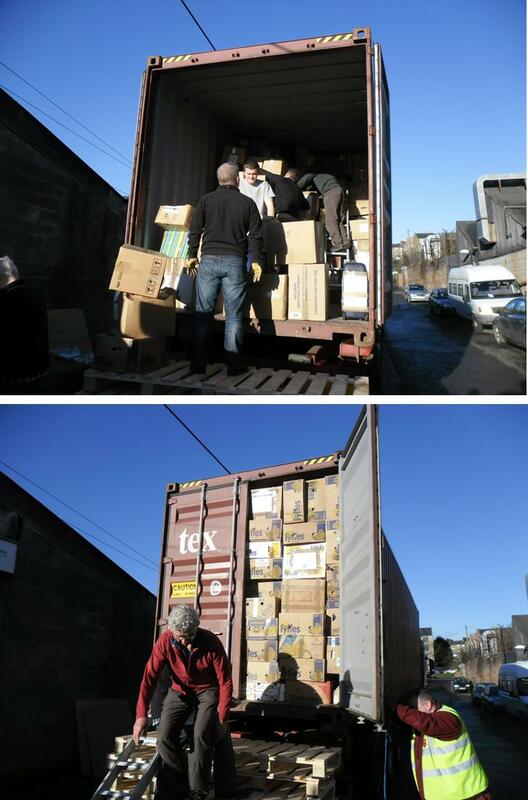 On Saturday 11th January the first container to be sent to Malawi from our new depot in Dundee was loaded. The day was bright but cold and the new team, under the leadership of David Randall, worked with a will to pack all the donated equipment and boxes into the container aided by Iain MacPhillimy, Rainer Schmitt, Alan Laverock and John Challis. Well done to the Dundee team, whose efforts can be viewed in a video at http://www.youtube.com/watch?v=1TXwlXtcHcM. It is good to see the safe arrival of the containers at Ekwendeni and the distribution of the goods to various departments and hospitals. It is a tremendous operation involving all those who supply the goods, right through the listing, packing and shipping and all that this involves, to those who receive the items after a 10,000 mile journey by sea and road. Everyone has a part to play and praise God that everything arrives safely at its intended destination.